The purpose of this policy is to outline how The Travel Team has established measures to protect your privacy and information rights. Rights relating to automated decision making including profiling Where we apply automated decision making, we must give you information about the processing; introduce simple ways for you to request human intervention or challenge a decision. We carry out regular checks to make sure that our systems are working as intended Information related to automated decision making is contained later in this notice. When enquiring with the The Travel Team for a holiday or business travel reservation, we may collect your personal details including Name, family details (including children’s ages) Postal/Billing Address, email addresses, phone numbers and date of birth. This information is collected so that we can contact you under contractual obligations and offer suitable offers for a proposed sale. Our email provider will store any received/sent email and may store the email address used. Hard copies of any proposed sale may be kept for a number of weeks before being destroyed. Information may be given to third parties for quotation purposes (such as Tour Operators, car hire companies, accommodation suppliers) but is rarely identifiable. Microsoft provide our emails, so any email received or sent will be stored on their servers which maybe outside of the EU but are fully GDPR compliant. When making a reservation with the The Travel Team we will collect full names & dates of birth for all passengers, a postal/billing address and at least one contact telephone number. Whilst not essential, we will ask for an email address for communication purposes (email of confirmations/receipts and optional marketing activities conducted by us). We may collect some personal medical information (disabilities, special requirements). This information collected is required due to Contractual obligations for the provision of a travel related sale. During the reservation process we will give you the opportunity to join our mailing list which will include email, postal and SMS campaigns. You may ask us to remove your details at any stage. We will never sell or share your personal information with any third party for their direct marketing activities. We store this information on a Travel Industry approved Back Office Database System. The data is encrypted and password restricted meaning all your data is safe and secure. Local hardcopies are stored securely. Certain personal data is shared with the tour operator/supplier that your reservation is with. A record of your travel history made through The Travel Team is collected and used to personalise any marketing that we think may be suitable. Email campaigns are processed within our office using a third party marketing system in which your email addresses are stored. Unsubscribe links are included in every email. Postal and SMS campaigns are conducted on our behalf but are not shared beyond its intended use. The office database system is hosted by MSN Ltd (Wizz) Microsoft provide and host our emails, so any email received or sent will be stored on their servers which maybe outside of the EU but are fully GDPR compliant. MailChimp is used to send email advertisement campaigns and store personal email account information and basic travel history information (i.e. type of holiday previously travelled on, year in which you last booked etc). Their servers may be outside of the EU but are fully GDPR compliant. We are members of TTNG/Worldchoice and are responsible for providing our SMS/Postal marketing activities and use approved GDPR suppliers based in the UK. We may also request Passport Information for provision of Boarding Passes, and loyalty club membership details to gain loyalty. This information is requested to increase the level of service we provide, but is not compulsory for the provision of a sale. You may refuse and provide the information directly to the supplier (where relevant). We store this on a password restricted internal database that is backed up to a cloud storage supplier (also password restricted). We share this information with a travel supplier to obtain boarding passes/obtain loyalty benefit and also to provide API where required for Government travel regulations. For data backup we use Cloud Storage and whilst the servers hosting this information maybe outside of the EU, they are fully GDPR complaint.Your data will be shared with the approved Third Party supplier that requires the information with your approval. When a passenger for some reason is unhappy, we will request this in writing, which may include personal information such as name, ages, family information (including children and health information, where relevant) address and travel details. This information is required to be able to submit a complaint is a part of the Contractual obligations. We keep hardcopies of any complaints received and store with your booking information. Emailed complaints may remain on our email servers and is shared with the supplier that the issue is with. Comtec provide our emails, so any email received or sent will be stored on their servers which maybe outside of the EU but are fully GDPR compliant. Your data will be shared with the approved Third Party supplier that requires the information with your approval. When providing the sale of travel insurance, we will need names and dates of birth (for all travellers that require insurance) plus any pre- existing medical condition. This information is required to be able to provide the sale of insurance and is a contractual obligation. We keep a financial record of the insurance sale on our back office system and may keep a hardcopy of the insurance sale which may include any disclosed pre-existing medical conditions. The information of which is shared with the insurer and their approved medical screening company. Holiday Extras are our approved insurance company, so will receive your data for issuance purposes. In turn they have an approved Medical Screening Company and also recommend we use Latitude insurance for persons with certain pre- existing medical conditions or over a 80 years of age. When ordering foreign exchange, we require your name and contact information (telephone number) plus the order details. This information is required to be able to provide the sale of foreign exchange and is a contractual obligation. We store this information on an internal database and is not shared with anyone. For data backup we use Cloud Storage and whilst the servers hosting this information maybe outside of the EU, they are fully GDPR complaint. When recording a foreign exchange transaction, we may require personal identification such as Passport/Drivers License plus proof of Address. This information is required to be stored for HMRC regulations. We use a Third Party sales system for recording any Foreign Exchange transactions and your personal information relating to a currency purchase may be shared with them (Personal Identification including Name, Date of Birth, Passport/Drivers License, Proof of Address). The sales system we use is provided by Tekbag Ltd and keeps record of any foreign currency sale and associated identification. Due to money laundry regulations, information may be shared with HMRC. Occasionally a tour operator will include Visa costs within the holiday cost and in these instances, the applications will be sent to the tour operator thus sharing information with them too. 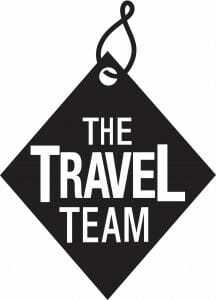 The Travel Team retains information for seven (7) years from our point of last contact. We hold this information to support our legal and regulatory requirements. If you object to this retention, please contact us – details provided in the ‘Contact’ section. The Travel Team applies technical and organisational security measures in line with industry good practices such as ISO 27001.